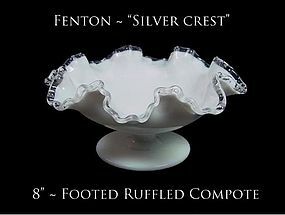 This Fenton Silver Crest 8 footed, ruffled compote is in good condition. Very nice! 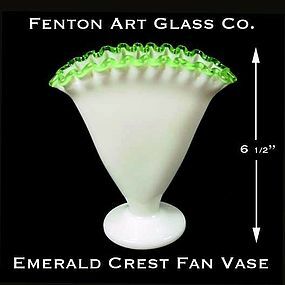 This Fenton Emerald Crest 6 1/2" Fan Vase is in excellent condition, and was only made from 1949-1956. Beautiful! 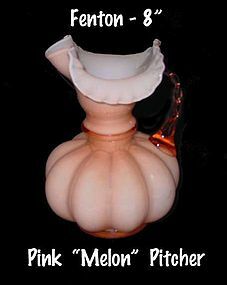 This beautiful 8 1/2" pink melon handled pitcher was made by Fenton Art Glass Co. 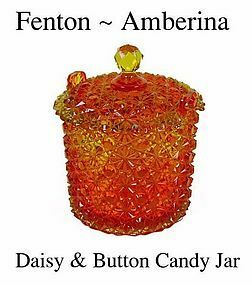 It is in pristine condition! 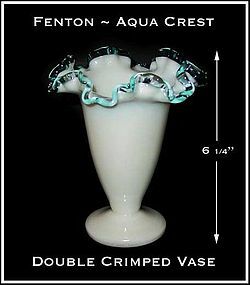 This Aqua Crest double crimped vase was made by Fenton from 1948-1954. It is in excellent condition! 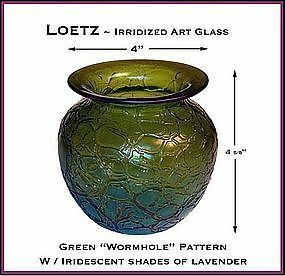 The Aqua color is stronger than the picture shows. 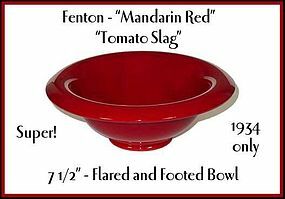 This Mandarin Red "Tomato Slag" bowl was made by Fenton Art Glass in 1934 only. 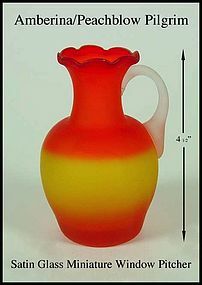 It is in excellent condition with no issues to report.